Reprinted from The New York Times by Reuters on February 12, 2019. Thousands of Denver public school teachers are expected to strike Tuesday, disrupting classes for more than 90,000 students for a second day as union and school district officials resume talks that broke down at the weekend. 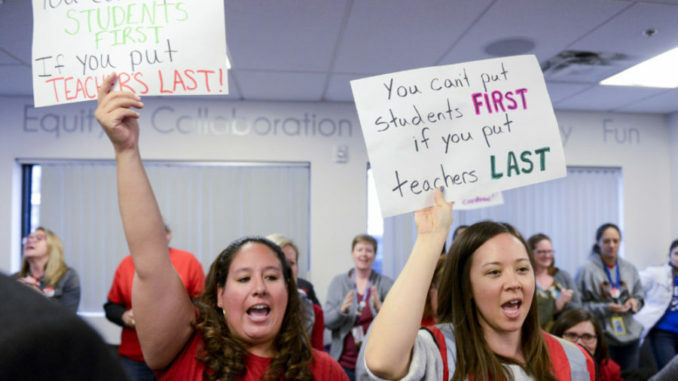 In the latest of several major strikes to hit the US public school system, the teachers are seeking pay hikes and a new salary structure.